Premium German marque Audi has introduced a third model in its A5 range with the new the Sportback model. Adding a five-door variant alongside the coupe and cabriolet models makes for a more practical range, as well as bringing in extra customers that want the stylish exterior but need the space. Audi's success has always been based around premium values rather than practicality, but spinning off five-door models from already-desirable models such as the smaller A3 has already proved to be a successful tactic, broadening the range and making it a viable option for a greater number of buyers. With the A5 Sportback Audi is going up against a number of coupes with two extra doors; a growing segment as buyers look for greater individuality within a car that is still practical enough to use everyday. 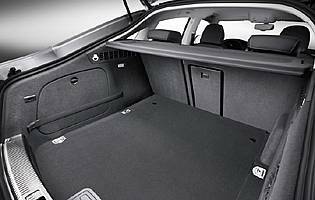 One key difference with the A5 Sportback over its rivals is the hatchback at the rear, which gives boot space on a par with an A4 Avant model. 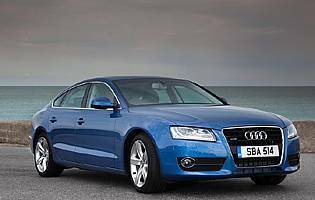 Rather than being a chopped-down version of an existing saloon, the A5 benefits from a new chassis, designed with improved handling in mind. The front axle is moved forward to improve weight distribution while the front suspension is a new multi-link arrangement, which promises improved responses and wheel control. The rear suspension is also revised, while quattro models benefit from a 40/60 front to rear power split, with the aim of improving balance. As with many Audi vehicles, the A5 Sportback is available in a huge range of configurations taking in two and four-wheel drive, petrol and diesel models plus three different types of transmission. Within that there are models which benefit from start/stop technology, offering high levels of economy despite their size. The A5 Sportback fills a small but significant niche in the Audi range and, although it is deliberately pitched towards business users, it offers something a little different for the private buyers. 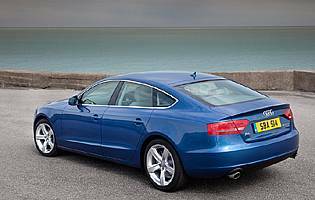 Handsome to look at and good to drive, the A5 Sportback has few compromises and would undoubtedly be an attractive and useful car to own.